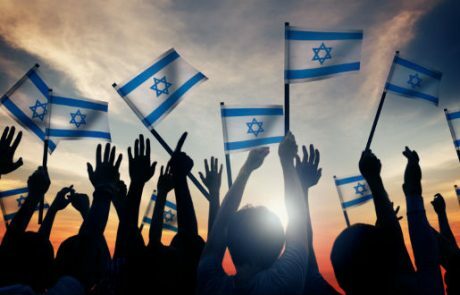 People in Tel Aviv don’t really need a special reason to party, but, the 70th independence day of Israel is definitely a cause for special celebration. Independence day is also the only day of the year that the law permits lowed music to be played all night long so, many bars and clubs take advantage of it, people throw house parties and there are also some cool street parties happening. Like every year, Rothschild Blvd is going to be packed with people, that is why the ZooZoo bar is taking advantage of their great location on the Blvd for the annual street party with DJ and drinks. Like every year, “TLVnights” is celebrating independence day with what they do best – a crazy pub crawl. Starting with a rooftop party in Hayarkon 48 hostel and then continuing to 3 more parties in the best clubs in town. Included in the price are 1 free beer, 5 free shots and free entrance to 4 parties. Maybe the most interesting event of independence day is the “70 in the park” production. A two-stage party with some of the leading names in the global and local electronic music scene. Among others are Charlotte De Witte, John Digweed, Red Axes and many more. Last but not least, an independence day rave in the prince. This trendy rooftop bar will be hosting DJ Yogo (The Block, Breakfast club), for a night of great sounds and vibes. We wish you all a great independence day and a great year.